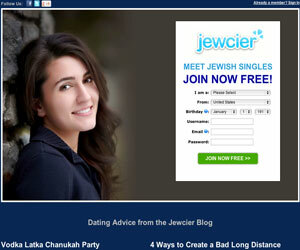 Joining a Jewish online dating site is a great first step if you’re looking for love within your religious community. There are plenty of options available – from the popular niche sites like JDate or Jewish Café as well as Jewish dating sites developed by the mainstream online dating services like Match.com or eHarmony. Because there is a lot of choice when it comes to online dating, it’s good to think about your goals before you begin. Do you want to meet people and date casually, or are you looking for a committed, long-term relationship? Are you willing to date someone who is either more or less religious than you? How important is it that your dates be on the same page as you in terms of values, education, employment, or financial stability? These are important questions to think about before starting any kind of relationship, because you don’t want to mislead the people you date. Also, it’s important to make sure you’re keeping an open mind and not getting sidetracked by well-meaning advice from friends or bad luck in the past. The dating process might be a lot different than you think. Following are a few dating myths to clear up before you start – don’t make these mistakes! The more available you are, the faster you’ll find someone. If you line up a bunch of first dates all in a row, you’ll eventually burnout. You don’t have to feel obligated to go out with everyone who emails you – it’s good to have an idea of the type of person you’re looking for and the kind of relationship you’re after and start with that. There’s no race to the finish line, so get out of that mindset. It’s also important to know your schedule and leave time for work, friends, and yourself as well as dates in order to recharge. Otherwise, you run the risk of getting frustrated and stopping before you really get started – date for quality, not quantity. High dating expectations lead to your perfect match. If you have a picture and a detailed list of your ideal partner, it’s time to toss them. There’s no such thing as a perfect partner – we all have faults and weaknesses, and expecting someone else to be perfect will only lead you to disappointment. Instead, focus on your core values – mutual respect, kindness, consideration, or whatever it is that makes you happy in a relationship – to find someone who feels the same way. 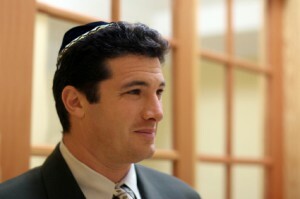 The smartest, best-looking and most successful Jewish singles are taken. If you assume people who are online dating are there only because they aren’t somehow “good enough” to have already found someone, you won’t get very far. People are online dating because it’s difficult to meet others outside of work or family, and people want more choice in their lives. Online dating provides a great deal of choice and opportunity, so it’s good to embrace it. If I lie about my age/height/income/religious practices, then more people will find me attractive. Some people do lie in their online profiles, but is this any way to start a relationship? Many daters feel that it’s hard to trust someone when they lie from the beginning. Be truthful, and then the people you date will start off knowing and liking the real you exactly as you are. Fill in the blank here with any negative experiences you might have had with dating people who share your religious beliefs. The truth is, we are all unique individuals, so you can’t lump everyone in the same category – this is a form of self-sabotage. Keep an open mind and realize that you will meet a variety of people, all with their own opinions, thoughts, and goals for their own lives, and perhaps one that is perfect for you. Take advantage of these top offers and join one of the Jewish dating services offered here. By trying out the service you will save money on the cost of your sites membership. Should I try long-distance dating?